Avast Antivirus is a Internet Security application also called Antivirus which is developed by Avast Softwares for various Operating systems like macOS, Android and Microsoft Windows. Avast is known as one of the best antivirus in the world, but It’s freeware Avast free antivirus also creates some problems for it’s users. If you are getting any dificulty using Avast antivirus you can also uninstall it. In this article I’m going to write 3 best methods (A complete Guide) about How to uninstall Avast antivirus in Windows or How to remove free avast antivirus from your Windows 7, 8 or 10 computer. If you can’t uninstall avast on Windows 10 , 7 or Windows 8 computer, or you get some errors like “uninstall avast setup is already running” then you are in the right place. Below I’m going to tell you 3 methods to uninstall Avast antivirus from your computer. You can also watch the video below for better understanding or keep following the steps. 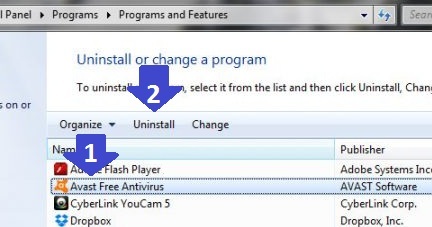 Also read> How to uninstall Slimcleaner, How to uninstall Chromium or How to uninstall Firefox. If avast is running in background then disable it by clicking on up arrow on bottom left corner, then Right click on Avast logo > avast sheilds control > and then click on Disable until computer is restarted. Once you have disabled Avast, Click on Windows Button on your keyboard and type Program and features in the search box, and Then click on Program and Features. Once you click on uninstall button, follow the instructions given on Avast removal wizard and restart your computer. 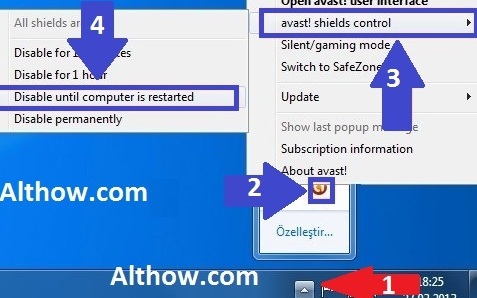 In this method if you get a error saying “uninstall avast setup is already running” then you need to go to the next step. If you have done all these steps, and still not able to remove avast from your computer, then next method may have some luck for you. If you have tried simple method to remove avast antivirus from your computer. But still it’s not getting uninstalled, you can try avastclear. Avastclear ( also known as avast removal tool ) is a official tool provided by avast to uninstall avast antivirus. Below are some steps to uninstall avast with avast removal tool. First of all start your Windows into safe mode. And then disable avast antivirus on computer with steps given in the first method above. Now Download avastclear.exe into your computer. click this link.to download. Now open the Avastclear utility. If you have avast installed manually on the different folder, Choose the location of your avast antivirus. Else you can leave it to default. Click on Uninstall button, and restart your computer once it is done. This avast uninstall utility will work for you in the 99% cases, and this method is best for you if you get uninstall avast setup is already running error while trying to uninstall your avast antivirus. 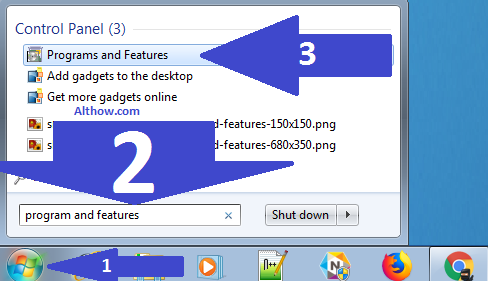 But if you are still not able to uninstall it, you may go to the 3rd method given below. If you want to uninstall avast antivirus using command prompt, you can use below steps. This step is only for computer professionals, Please don’t try it if you don’t know anything about command prompt. First of all reboot your computer into safe mode. Click on Windows Button and Search for Command Prompt. Follow the instructions which will come into your screen. Restart your computer into normal. That’s all and after using all above methods your error related to uninstall avast setup is already running will be fixed. If you know more methods, to uninstall Avast antivirus or have any questions, You can feel free to comment below. you can also read my another article about how to uninstall Webroot Endpoint protection antivirus.